Wow! Last day of July! It went fast. Going out of town for half of it helped! I have much to do to get ready for classes and such in August! My daughter will move back to Tallahassee next week which has me feeling blue and excited for her at same time! 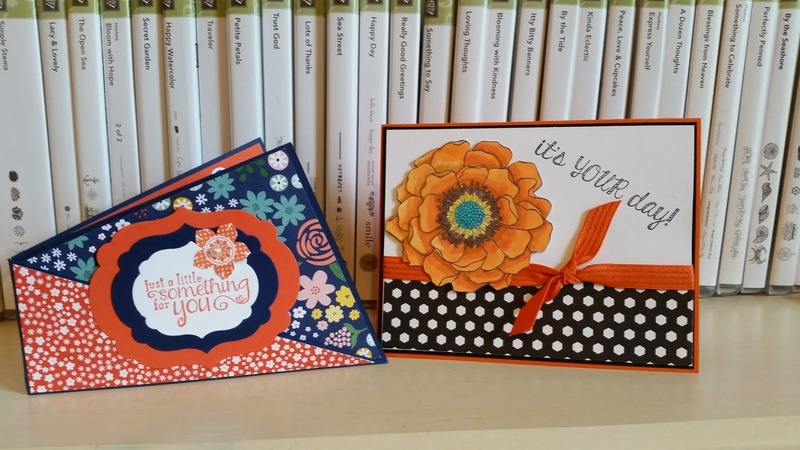 I have the last two cards I received from the I Am Blue card swap with Pals in month. 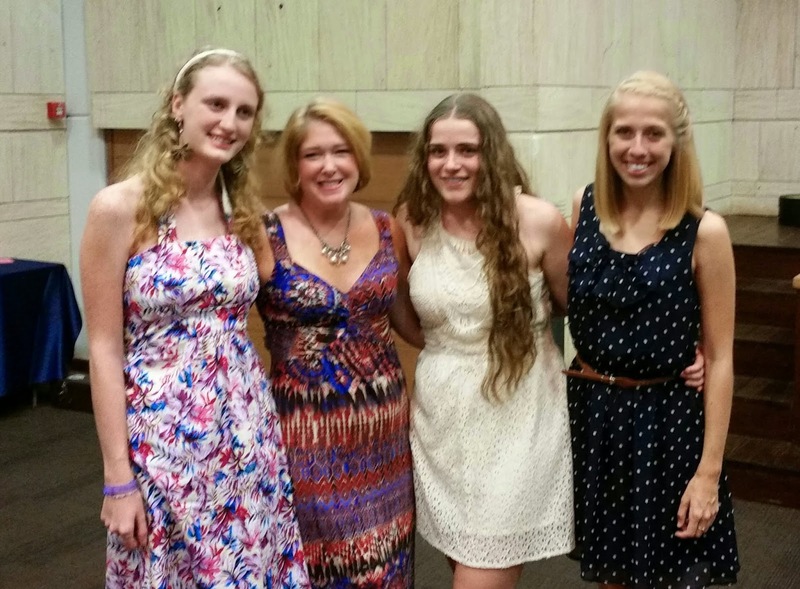 Going on the mission trip this month was amazing! But there were sacrifices that I had to make. I was saving money from selling retired sets for 2014 SU! 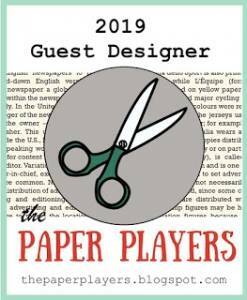 Convention in Salt Lake City happening in July. I was a week away from registration with much money in hand but God had another plan. I was asked to serve on the team going to the Dominican Republic and it would be the same week as the convention. I heard God speak clearly about the mission trip and obeyed! But my heart was breaking because I was missing convention. Not for the great goodies and the information and the excitement of starting a new SU! year, but for the incredibly special people I was not to hug and hang with! My Pretty Pals group is unbelievable and I missed them greatly. They achieved so many awards this year and I wish I could have been there in person the congratulate them! However, one Pal who was not going due to health reasons organized a I Am Blue card swap for those not going to convention! I was happy to play along and I received 5 cards from fellow Pals. 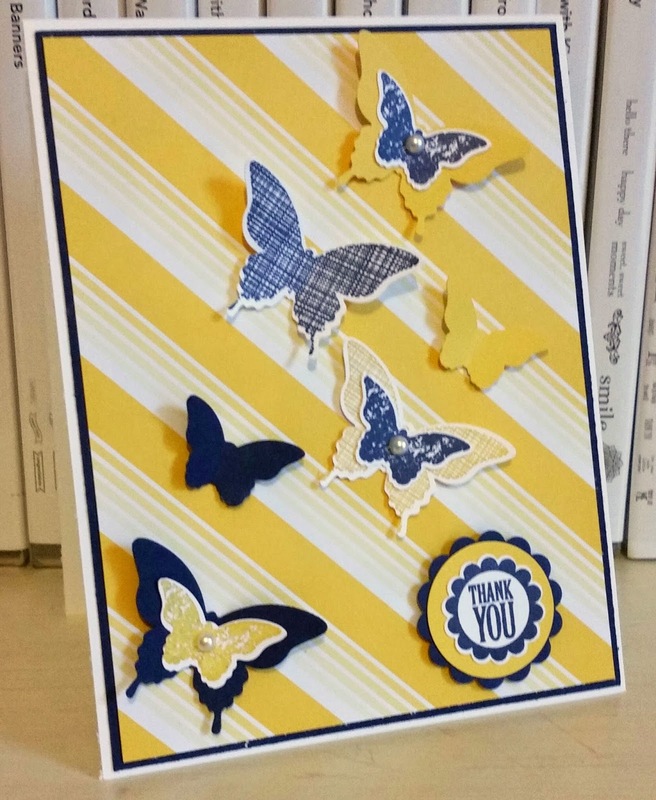 We were asked to make 5 cards/projects with a shade of blue, send to Barbara C. and she sent us some amazing cards! I hope you have an amazing Wednesday and thanks for stopping by! 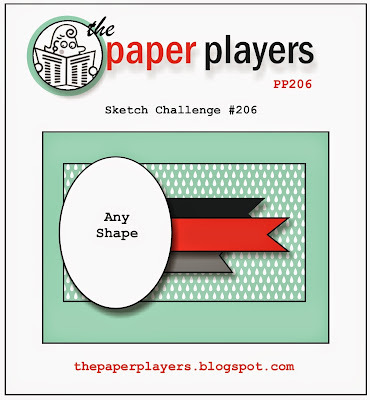 Since I had my Moonlight DSP with coordinating colors already out, I decided to use all for The Paper Players sketch challenge! 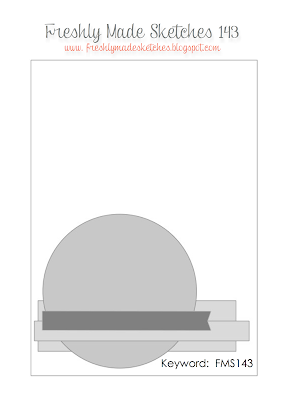 I knew I wanted to configure my card in portrait mode but spent too much time deciding on the shape of the top. Should know better to look at my sets first and then it will all come into place! 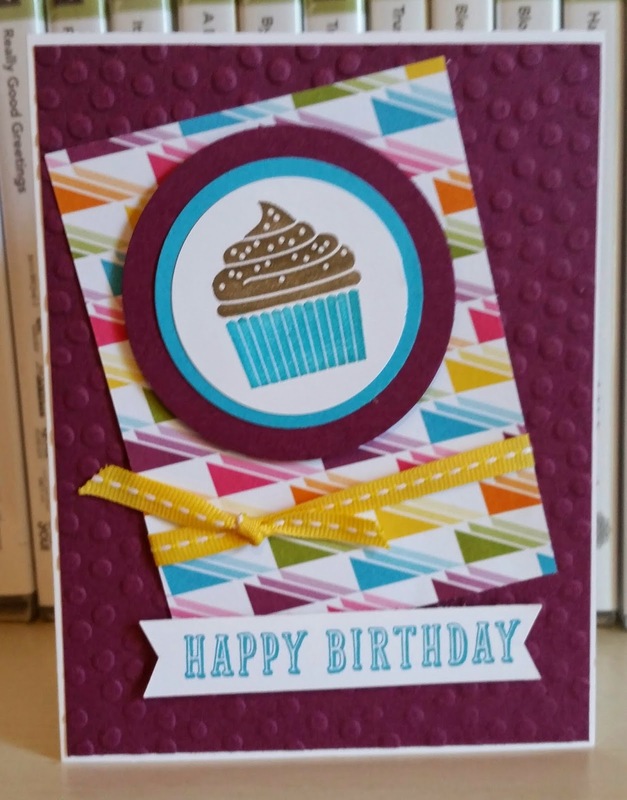 First card/project in over 18 days! It was so hard being gone and knowing several new sets and items were sitting unopened in a box that came while I was away. This is one set I have been enabled to buy by fellow demos like Amy O'Neill and Justin Krieger! 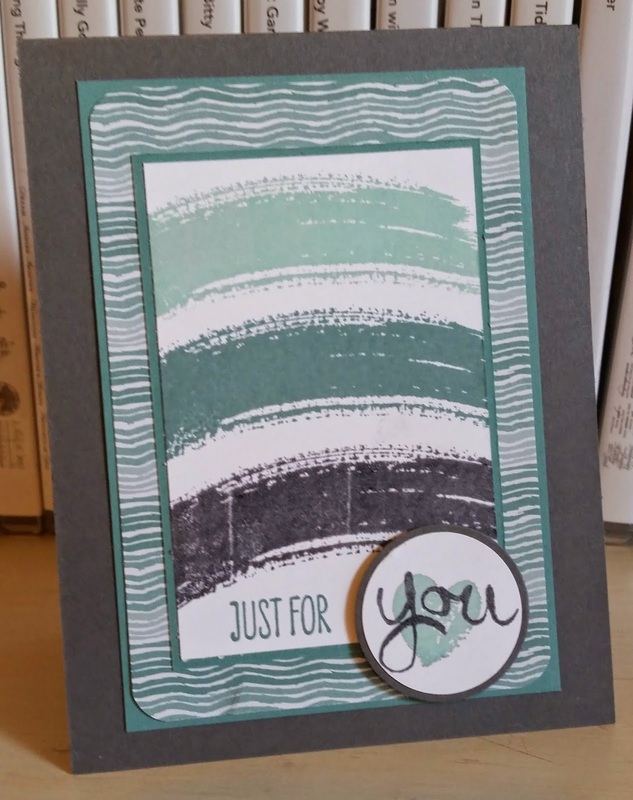 Love the Blackberry Bliss, so started with that color and found scraps of DSP hanging around my cutter and went on from there! This will be a card I am sending out to my Mom this week! What a whirl wind 2 weeks it has been! 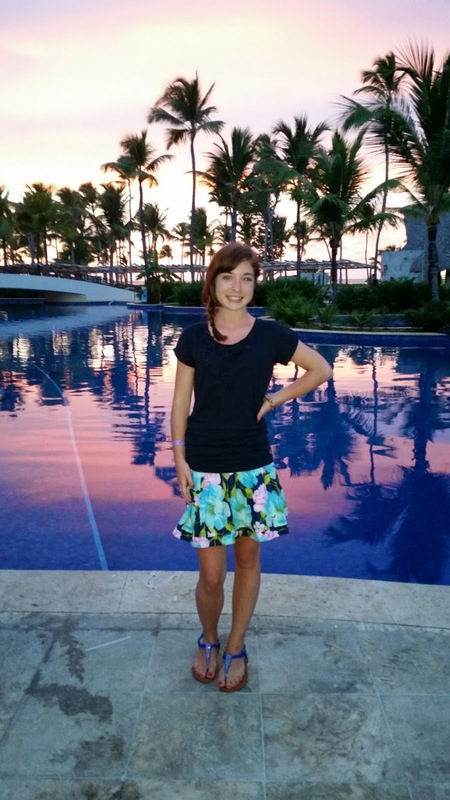 Amanda and I left on July 11th for the Dominican Republic. We went to minister to the missionaries coming there for a retreat from all over the Americas. Amanda was working with the 3 year old putting on a Vacation Bible school. I was doing Bible studies and Activities with the 95 teens hanging with us. The resort was amazing and the views were breathe taking! 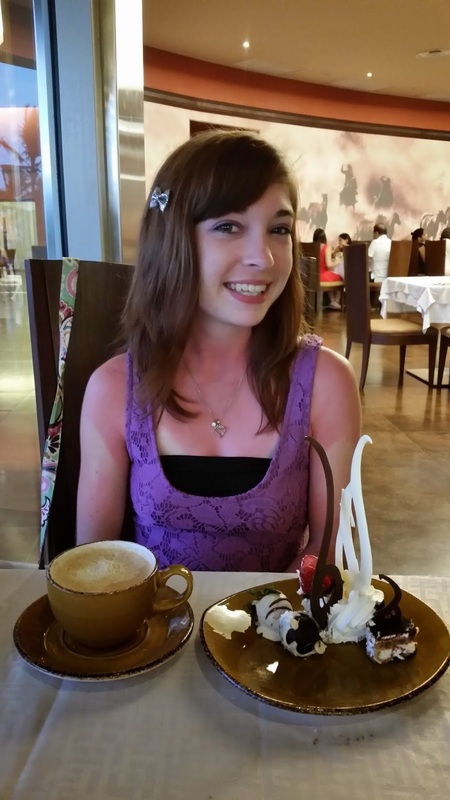 On Saturday the 12th, we celebrated Amanda's 19th birthday! We had dinner in the steak restaurant that night. Sunsets were amazing in pinks and purple! Another view of the beach near sunset! 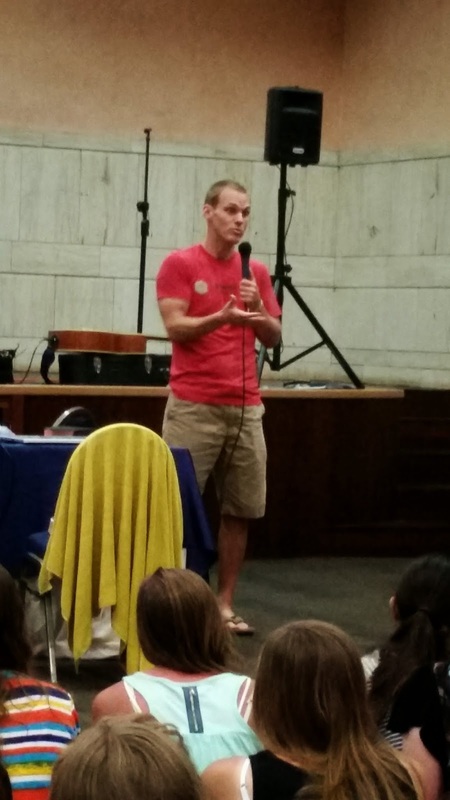 Another highlight was hearing David Platt speaking to the youth and then allowing them to ask questions after! Here I am with 3 of my new friends on picture night! I had a wonderful week serving a wonder God and was so blessed by ministering to so many incredible people and loved making so many new friends! Have a blessed Sunday! I will be back tomorrow with projects! My daughter is celebrating her 19th birthday today and she is the reason I bought this stamp set! She loves cupcakes and peace signs. 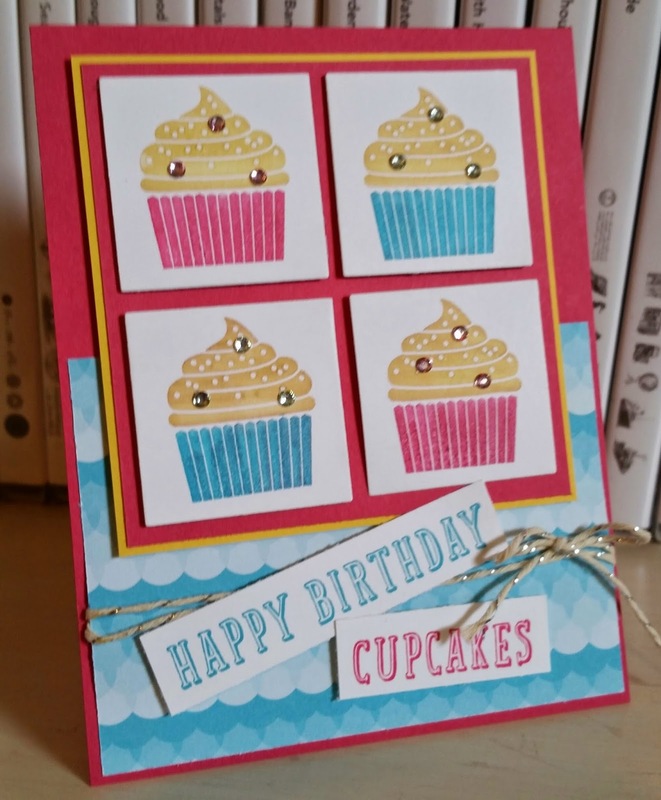 I decided to stay with the cupcakes only for this card but when she ships off to college again real soon, she will be receiving other cards using this stamp set! Happy 19th birthday my girl! Love you so much! I love Blue and Yellow together. I wanted to do something way different and after I grabbed for this DSP, I knew Butterflies would be involved somehow! I made this for a friend's birthday this week. She loves green and purple separate but especially together! 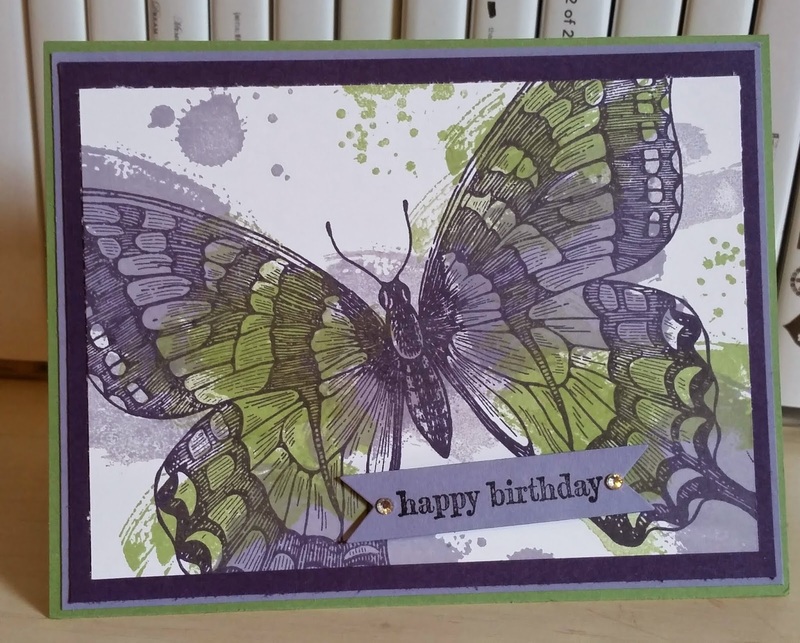 I painted the butterfly image with stamps from the Work Of Art and Gorgeous Grunge sets. 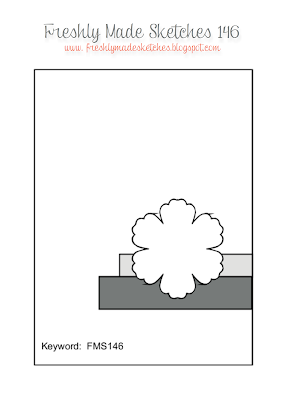 Makes for some easy coloring! 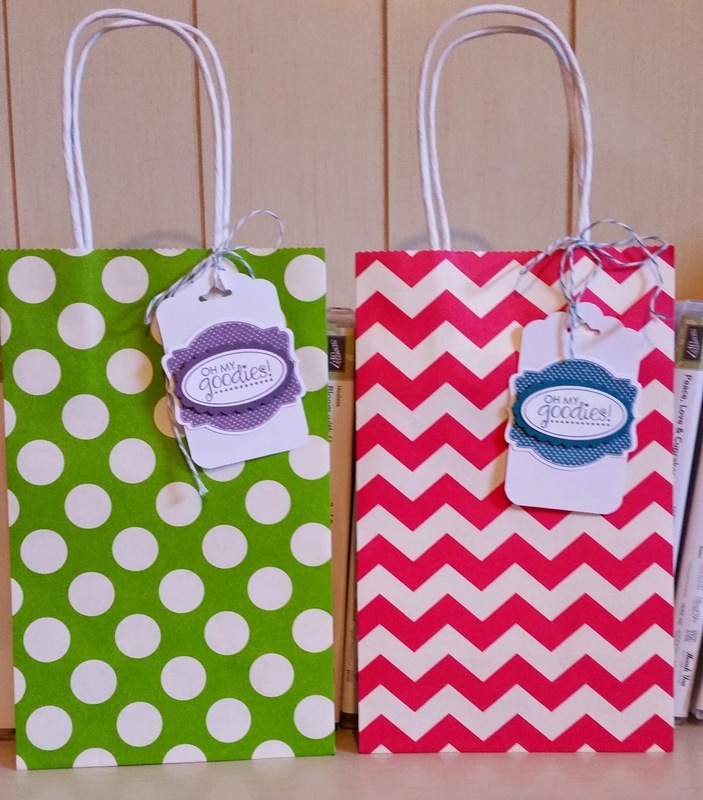 These are the bags I decorated with a tag for my card class guest this week! 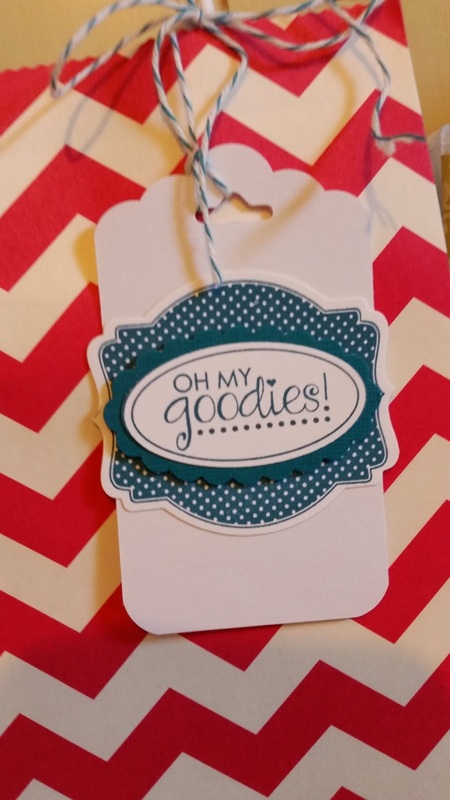 I bought the printed bags at Michael's Craft store and added cute tags using the Oh My Goodies stamp set! 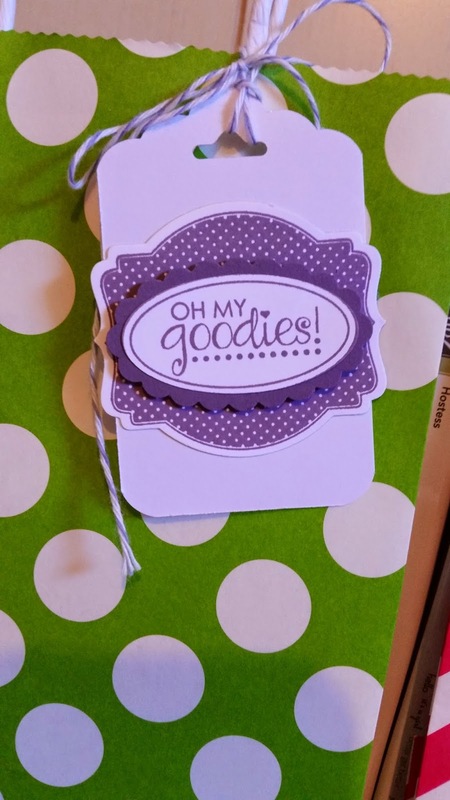 I only thought of food items when bought the stamp set but when I went to make these tags, I realized that their cards they are taking home are goodies, too! I love the beach! Anyone who knows me knows I love the beach! 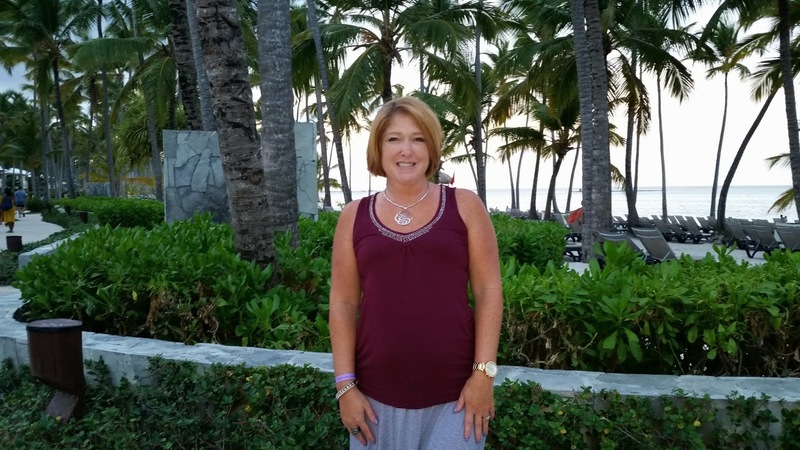 I am leaving this week for a mission trip at a beach and then return to go to the beach for vacation! 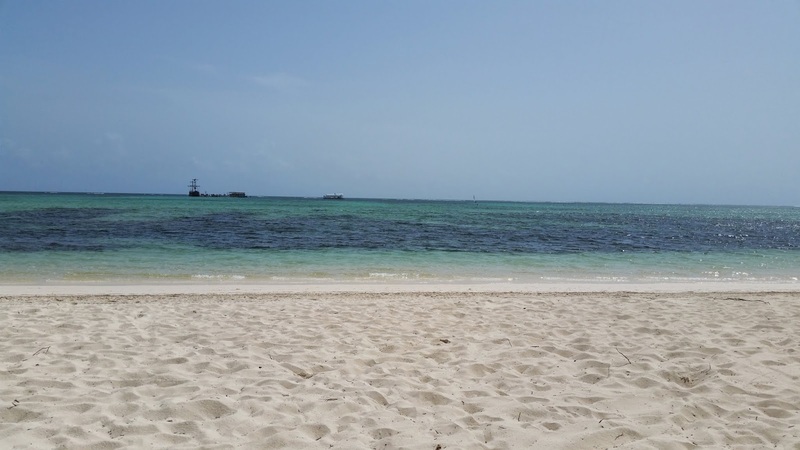 No, I will not be sick of the sand, water and sun! 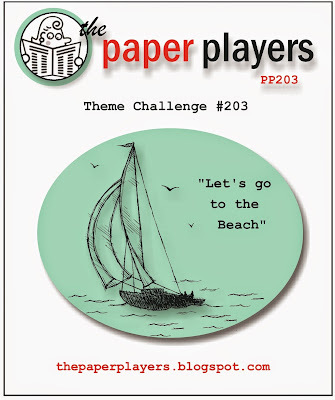 When I saw this theme, I thought of shells and blue and such but wanted to do something not in the normal range. 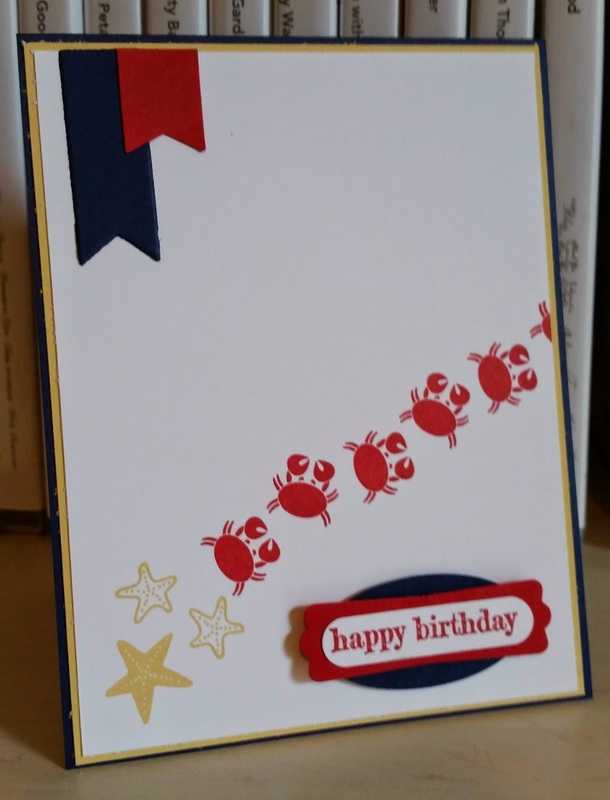 I looked at my stamp set and thought of this layout as soon as I saw the little crab. Love this Sea Street set! 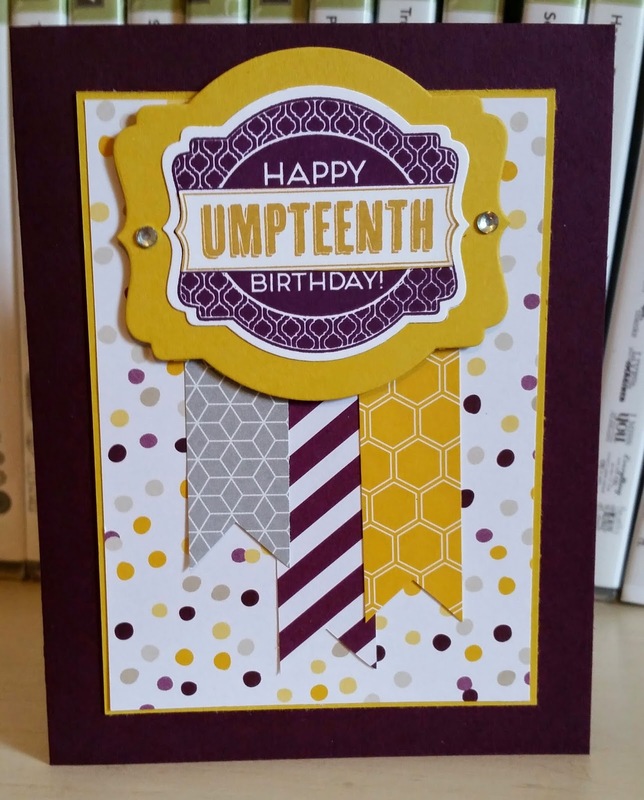 So love this color combo! I wanted to use some of the new DSP-back to Black! I asked my daughter to help me pick another color and she immediately went to Coastal Cabana! We both liked the lattice look of this print...looks like summer! 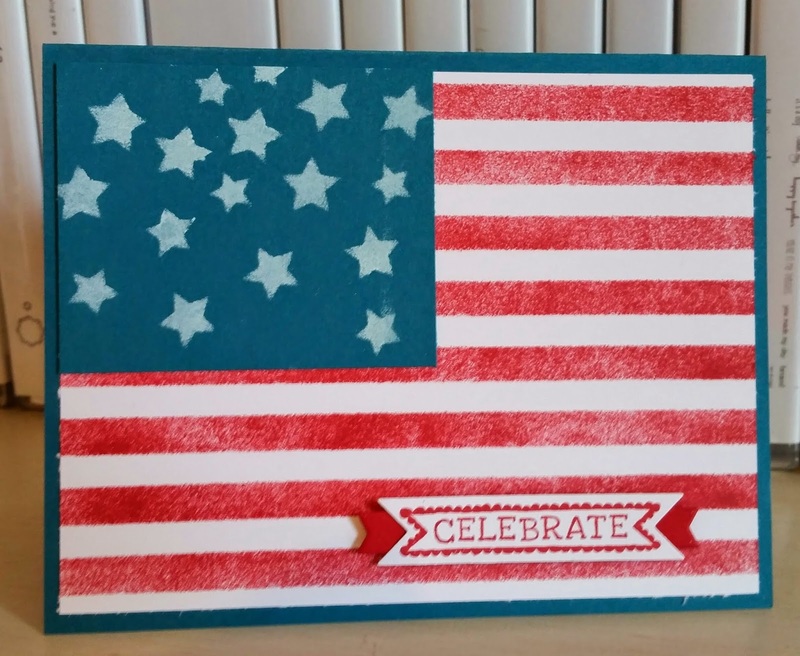 I had to get this stamp set for this sentiment! I have several birthdays coming up of friends (several males) celebrating a 50th birthday. 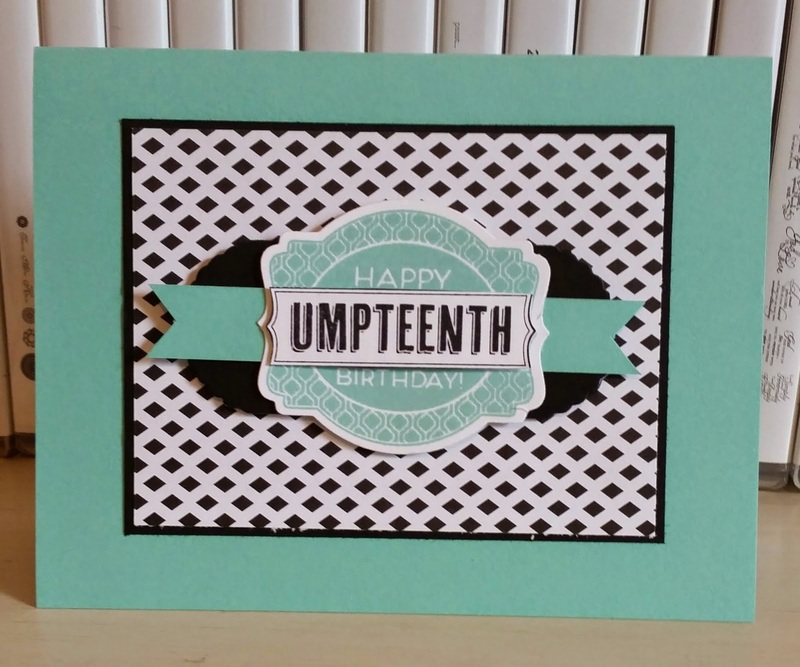 I did stamp the sentiment again in Black StaZon and cut out the word umpteenth and popped it on top. Hope you have a blessed Sunday! Thanks for stopping by! 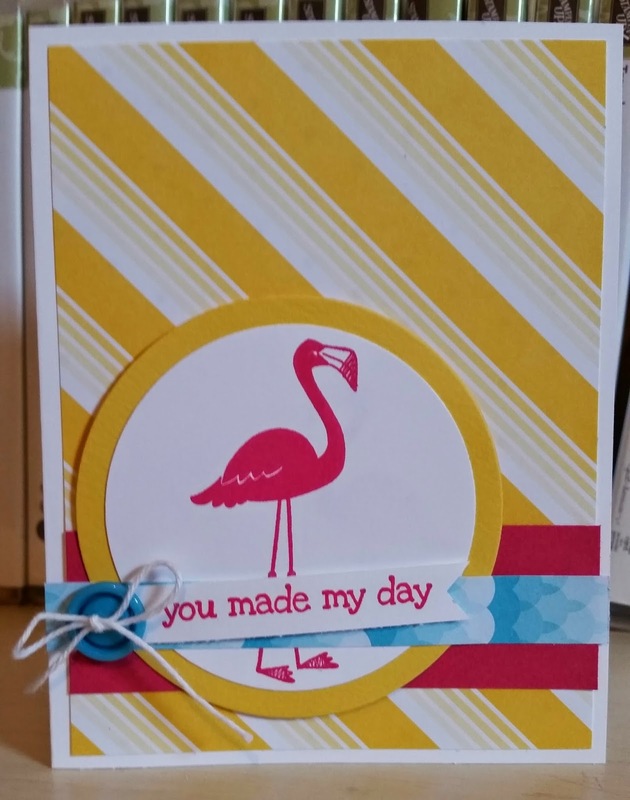 Love the flamingo stamp set called Flamingo Lingo! Nice, bright, cheerful colors to make someone smile! I was having issues with my Basic Gray ink pad today. I was not getting a great image when stamped. I redid this it several times and I either got this or smearing. I gave up after a while. It is suppose to look handmade! Never can they be perfect...at least for me! 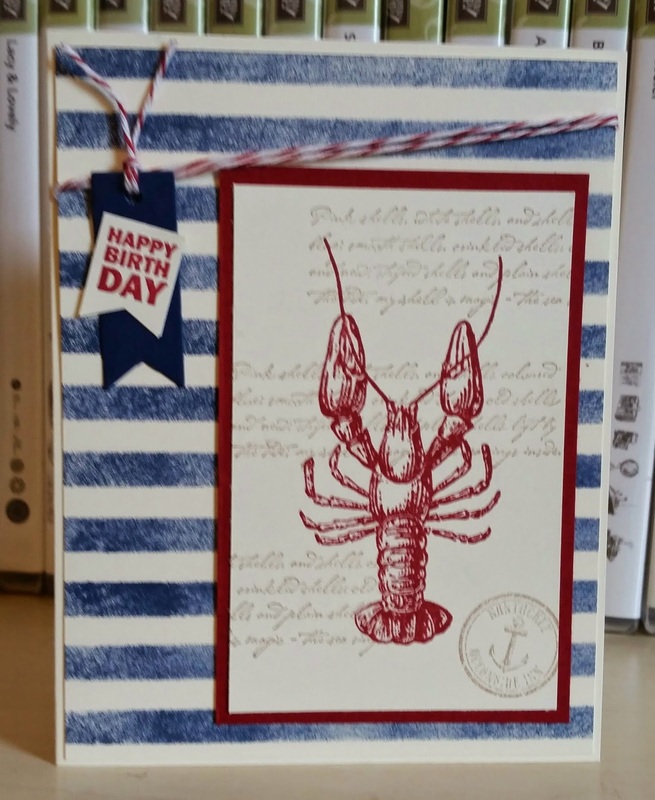 I can say I got inky making this card! There is where the fun is! I bought this set because my daughter loves cupcakes and peace signs. It is very cute and screams to be used with bright colors. The Sweet Taffy DSP fits that bill. Using a sketch from last week's FMS. 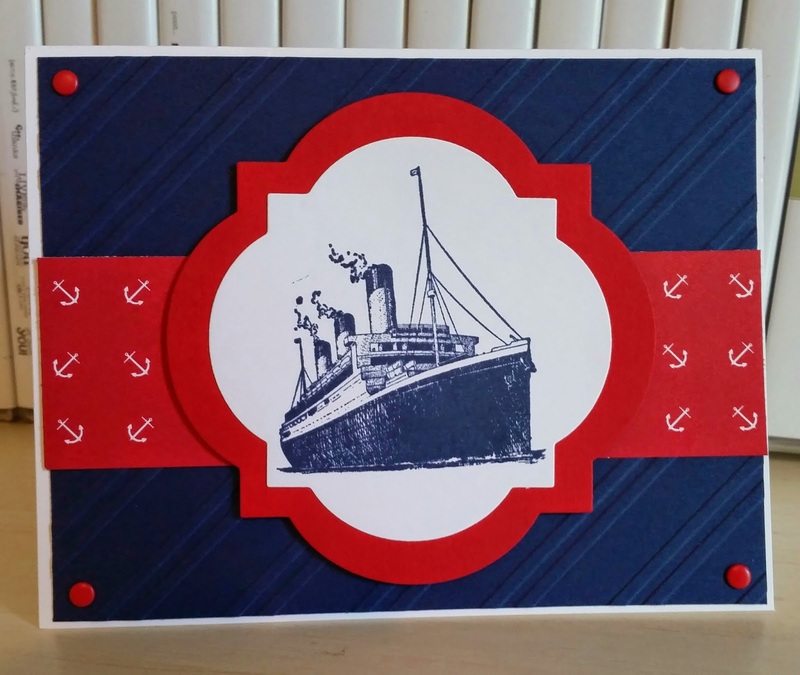 I love that my daughter helped me design this card for my card class next week! I have been having loads of fun designing with the new decorative masks. 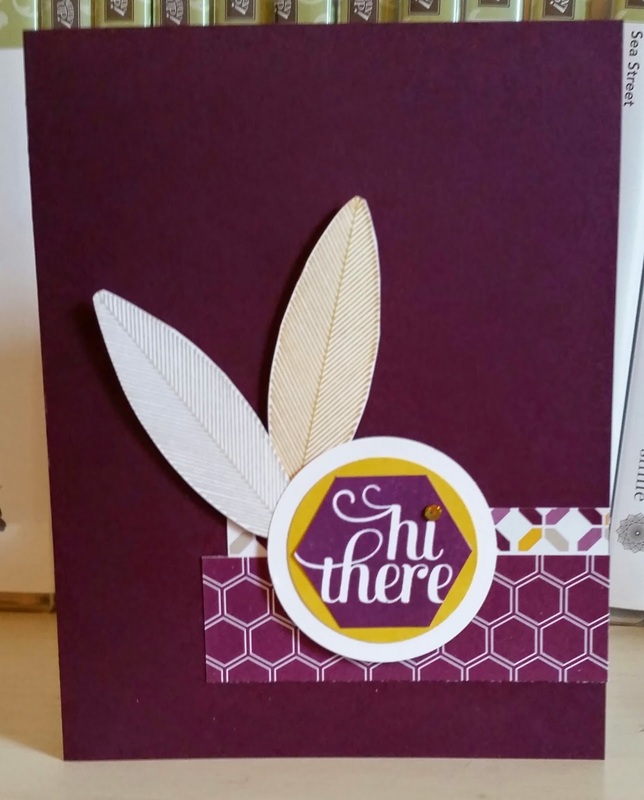 I was inspired by a card from fellow Pal, Michelle Gleeson. 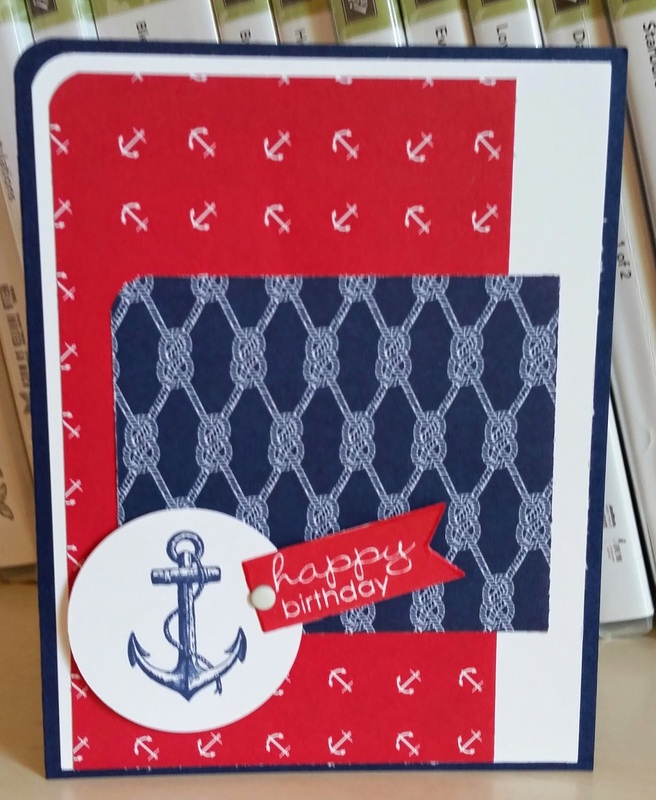 She used Night of Navy card stock to make some stripes on her card. It made me think to use the masks to get these great stripes here. Very easy to use and clean up. Hope you enjoy your Tuesday and thanks for stopping by!